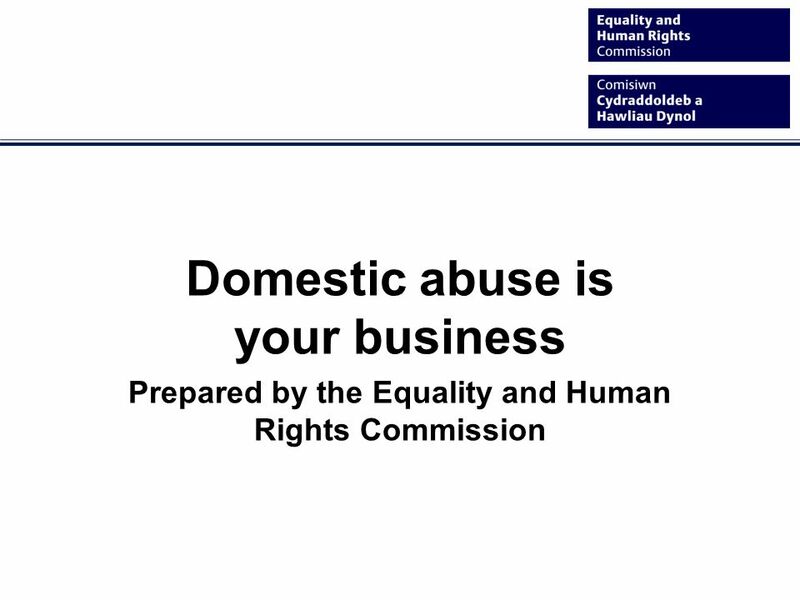 Domestic abuse is your business Prepared by the Equality and Human Rights Commission. 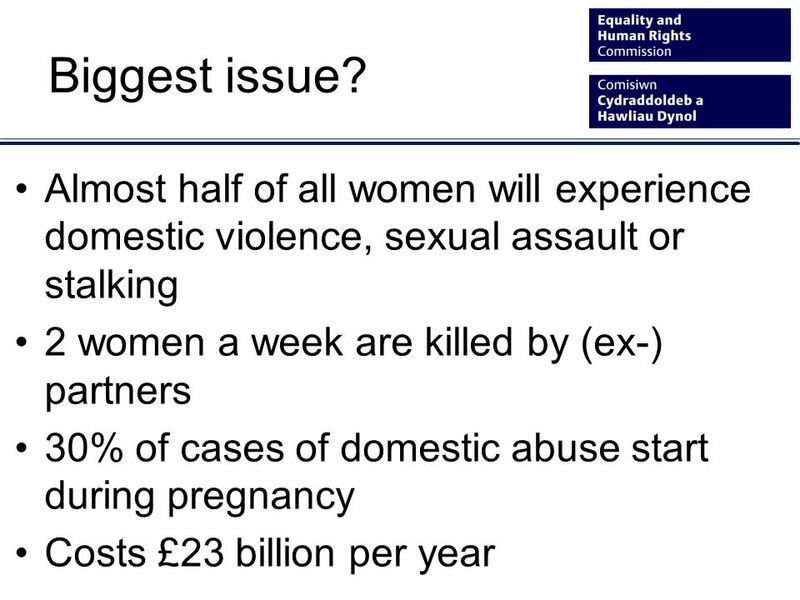 7 Gendered issue Women are; -4 times more likely than men to experience serious violence. 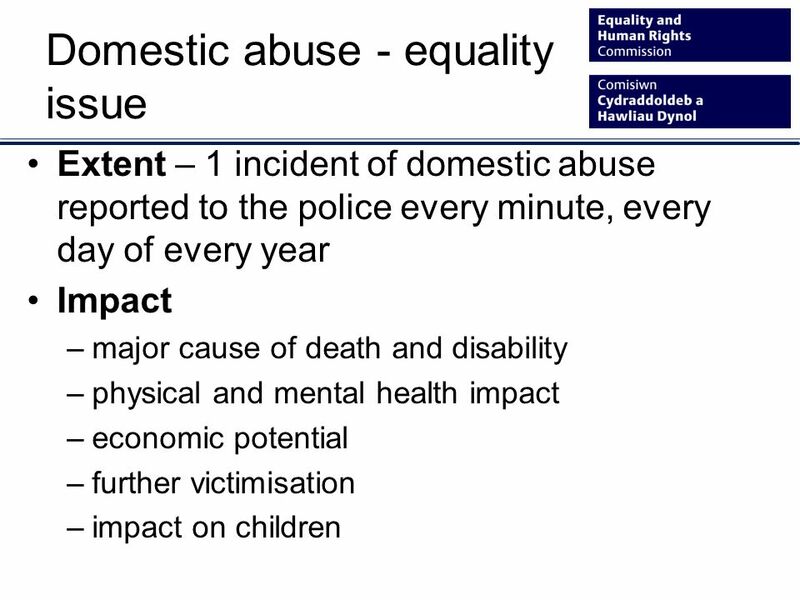 -Twice more likely to report ongoing assault (defined as more than 10 incidents). 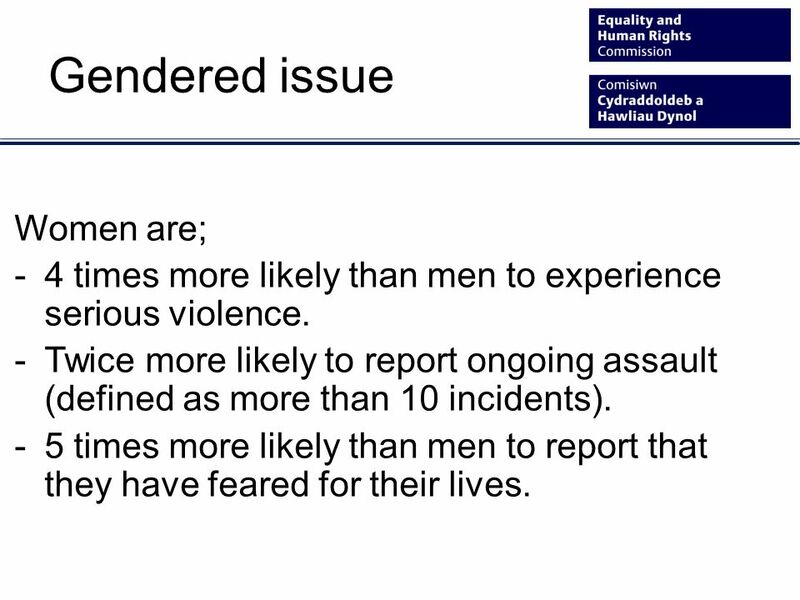 -5 times more likely than men to report that they have feared for their lives. 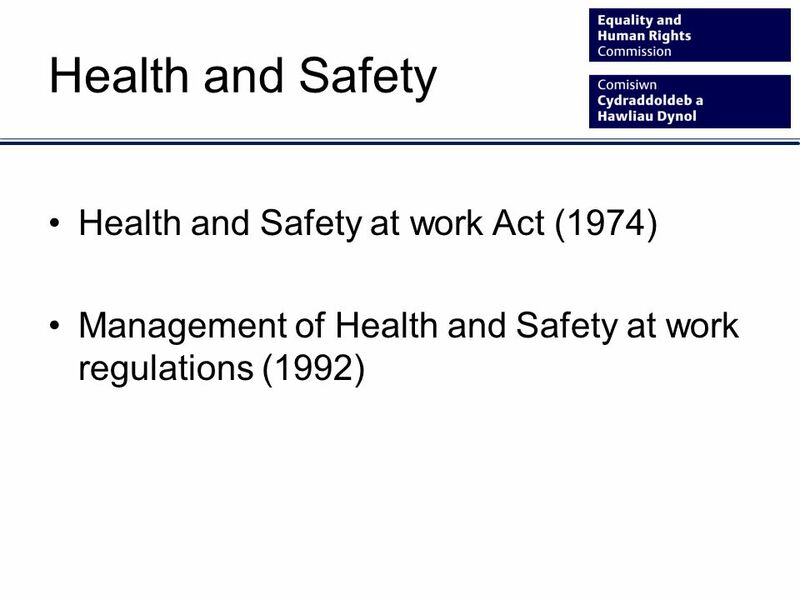 13 What employers can do Make your workplace a safe place where colleagues can discuss, disclose and ask for help. 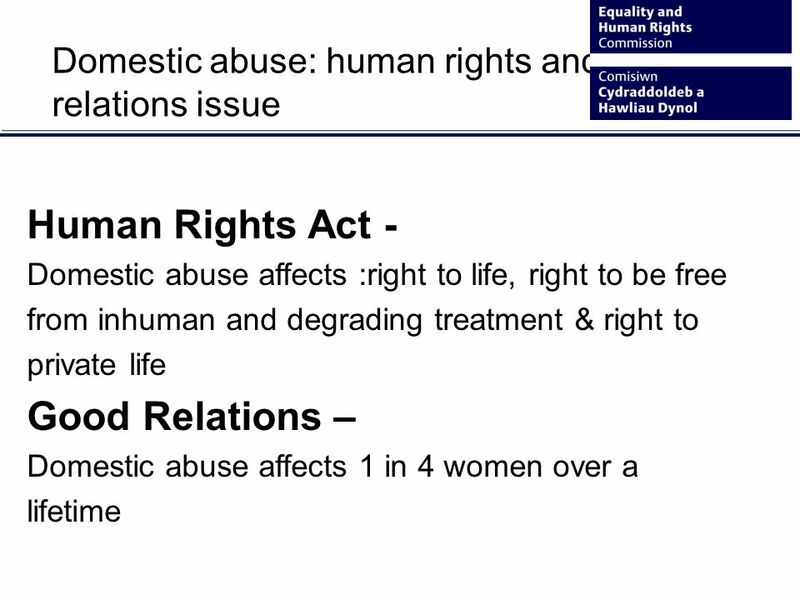 Download ppt "Domestic abuse is your business Prepared by the Equality and Human Rights Commission." 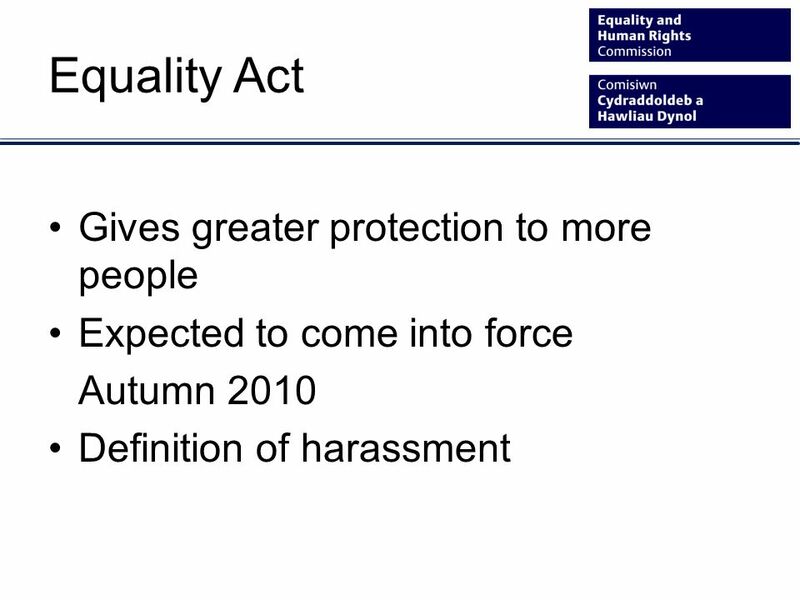 The Equality Act 2010 What the new Act means for you. 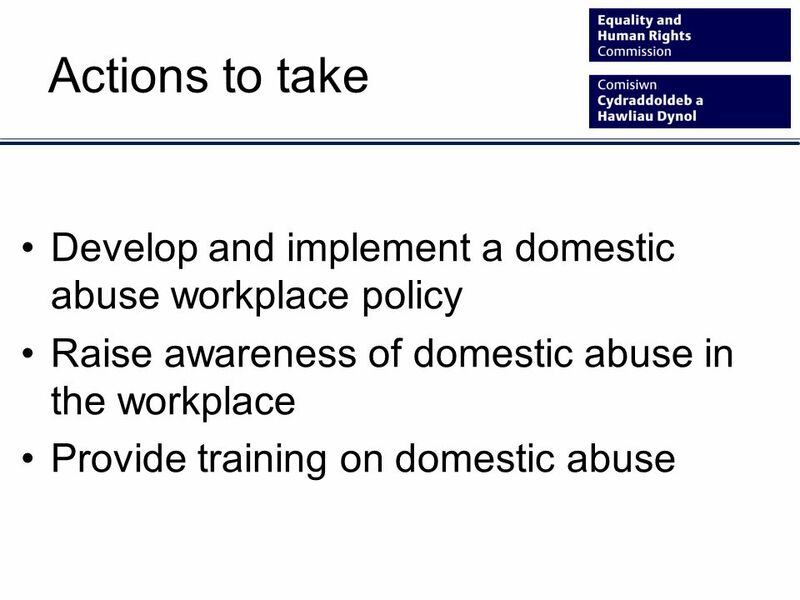 Domestic abuse is your business Ann Beynon Commissioner for Wales Equality and Human Rights Commission 16 February 2011. Welsh Contact Centre Forum 20 January 2011 Jennifer Dunne and Wayne Vincent Equality and Human Rights Commission. 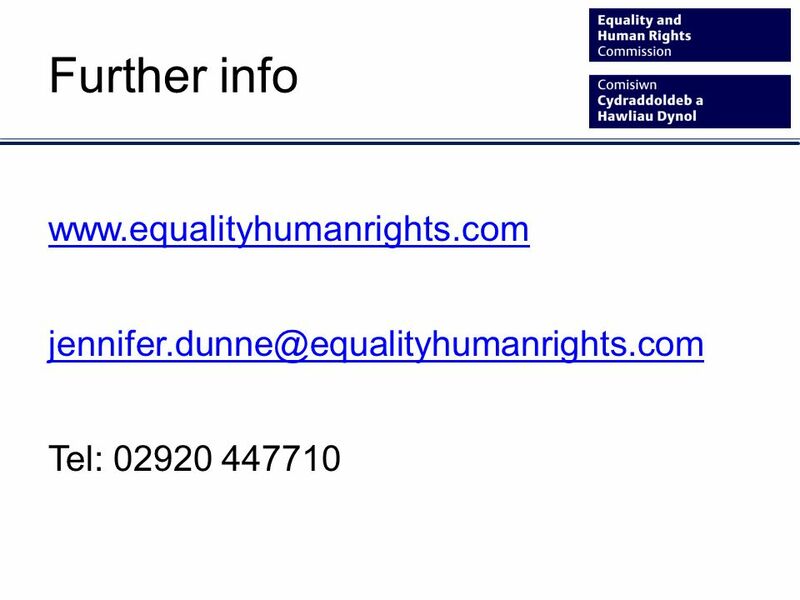 Mental health is your business Jennifer Dunne Equality and Human Rights Commission. 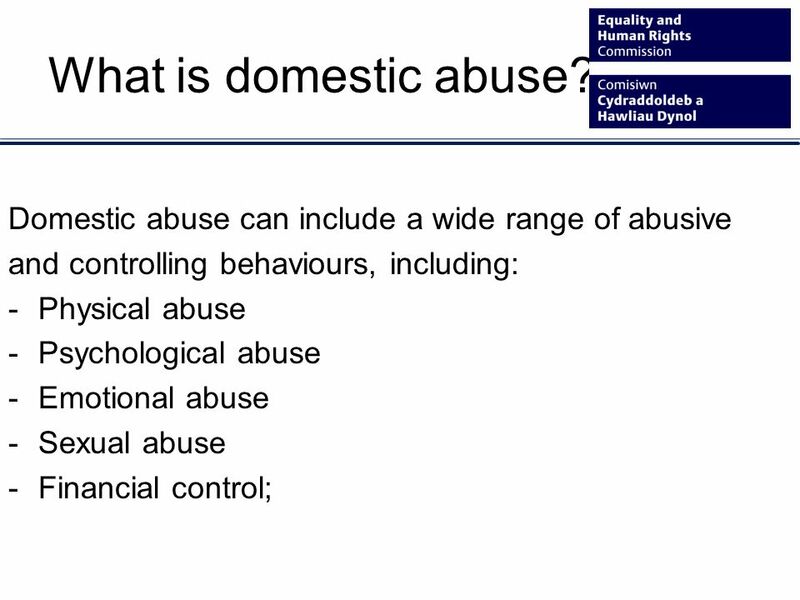 People are our business USAF First Sergeant Academy DOMESTIC VIOLENCE THE FIRST SERGEANTS PERSPECTIVE REFERENCES: AFI U.S. Department of Justice. Organised crime 2 September 2014 The impact of public sector cuts on women Linda Hughes, unionlearn with the Northern TUC. 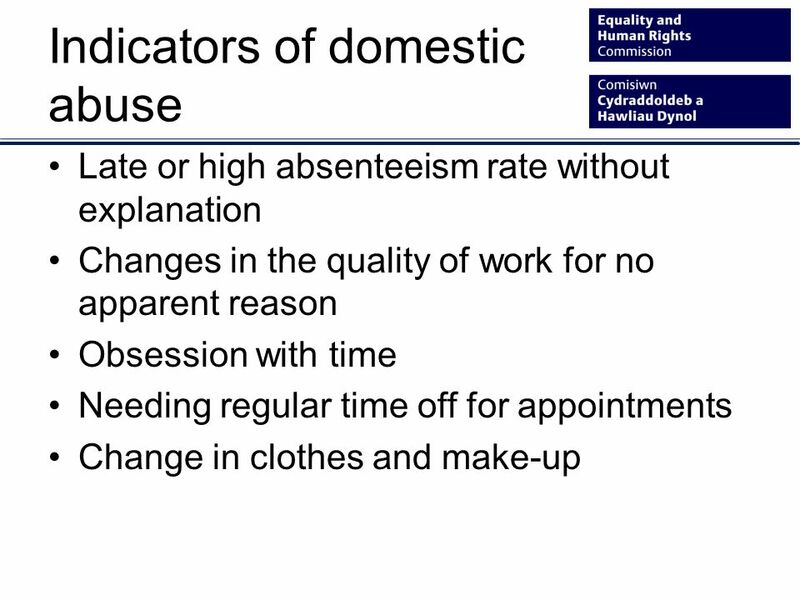 Commissioning for human rights in home care for older people A self-service introduction for elected members in England – training resource 4. Title IX/VAWA/Clery Act CUSP 2014 FALL MEETING. Our Purpose Today Highlights for Title IX, VAWA, Clery Act Practical takeaways related to: Program development. Laura Prince.  Bill published on 27 th April  Completed Commons Committee stage on 7 th July  Report stage in House of Commons, October. 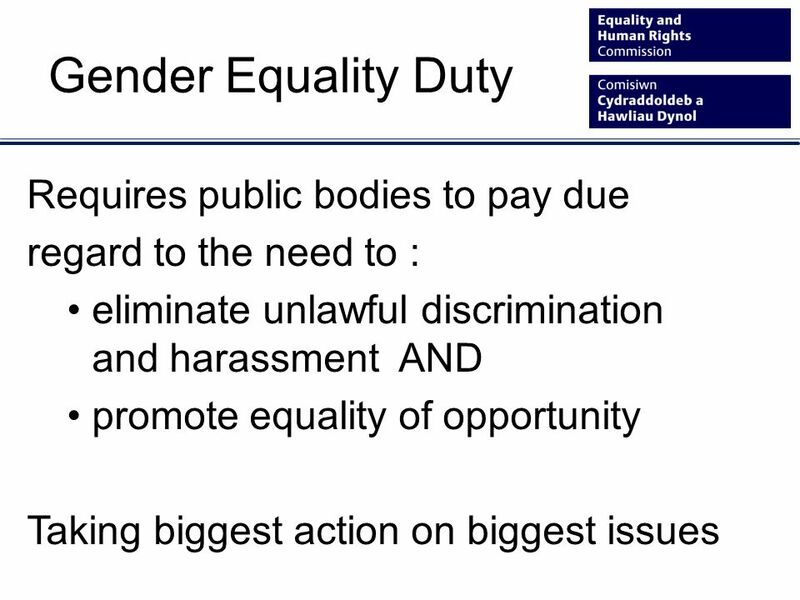 Good Relations & the Public Sector Equality Duty Chris Oswald Head of Policy & Comms EHRC Scotland February 13. SIMPSON MILLAR FAMILY DEPARTMENT Emma Pearmaine Victoria Walker.